-Lay down in Back Sleep posture and align your head in the center of the pillow. -Use your hands to grab the two corners of the tongue then fold the tongue and place the tongue underneath your head and cervical spine. -Adjust the Folding Depth of the tongue to your most comfortable position. -Use the folding function for 5 to 15 minutes each time, the restoration and decompression effects will increase day by day. -You can fold flat the tongue manually, or the foldable tongue will automatically rebound to its original FLAT position when you roll over or change to side sleep posture. 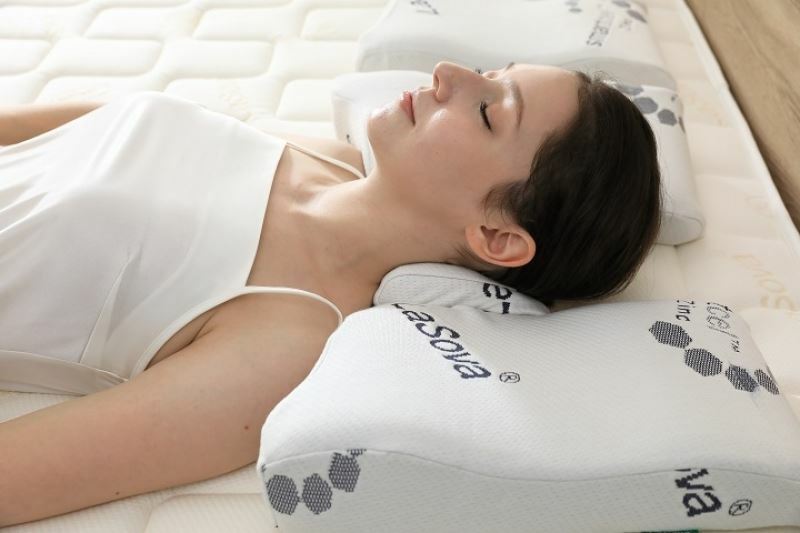 -The pillow is used as a well designed ergonomic pillow when the tongue is not folded.